After brunch near the Strip District, Heather and I walked through to see if anything caught our eye - lots of tasty hot foods, scarves, Steelers merch and art. 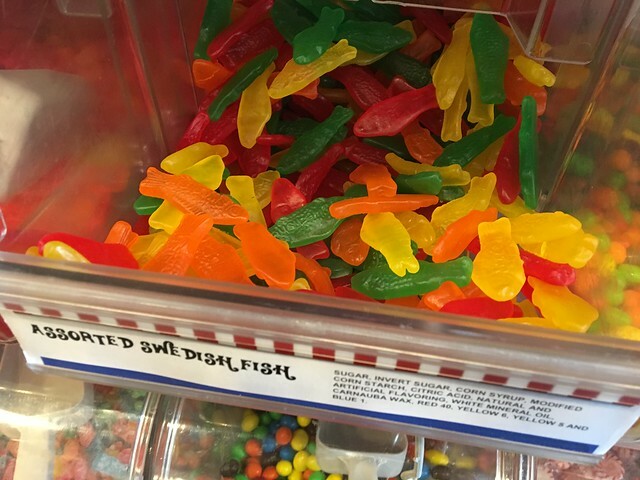 And, then I saw candy. Yep, candy will catch my eye. 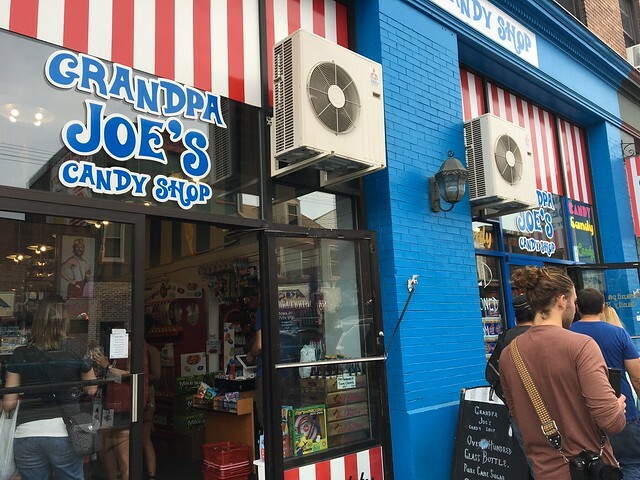 Grandpa Joe's Candy Shop is the stuff dreams are made of. 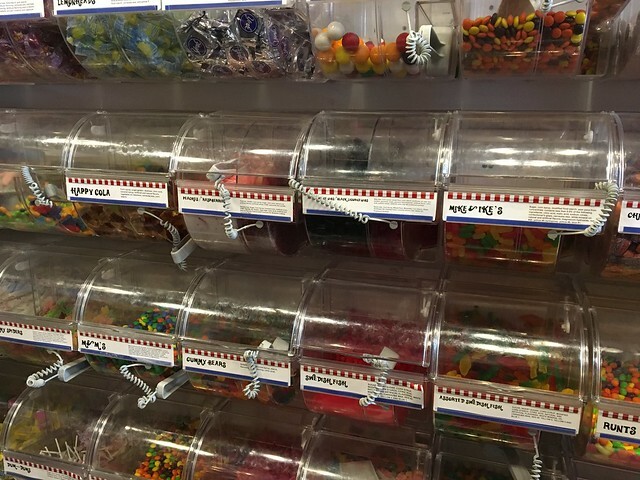 As soon as I walked in, I saw a giant wall full of various candies in containers. 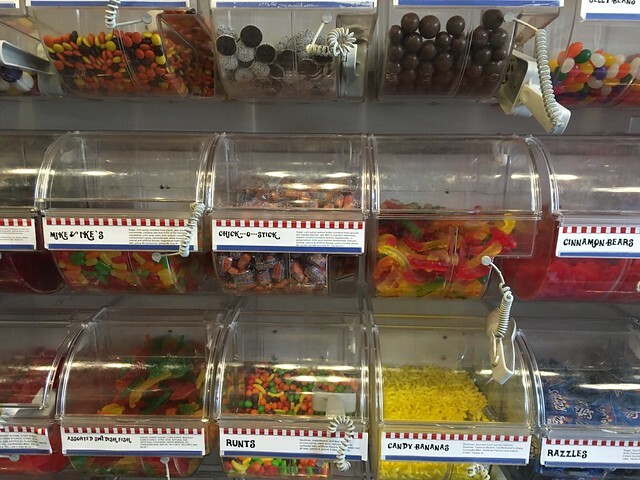 Everything form gummies and tootsie rolls to gumballs and suckers. And, you could fill one of these small boxes up with anything from that wall you want for $5. Consider it done. I got a little of this and a little of that - mostly tootsie rolls, laffy taffy and some gummies. 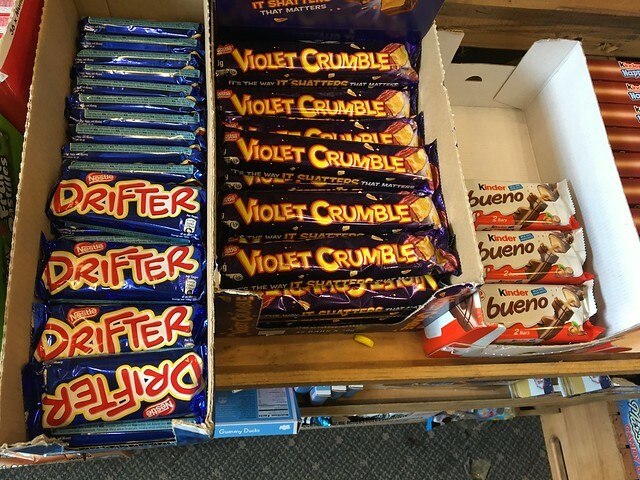 On the opposite wall, I saw some British candies I recognized my friend Dave liked to get (and you can't find them everywhere), so I sent him a picture and ended up with a request to purchase $20 worth of candy. 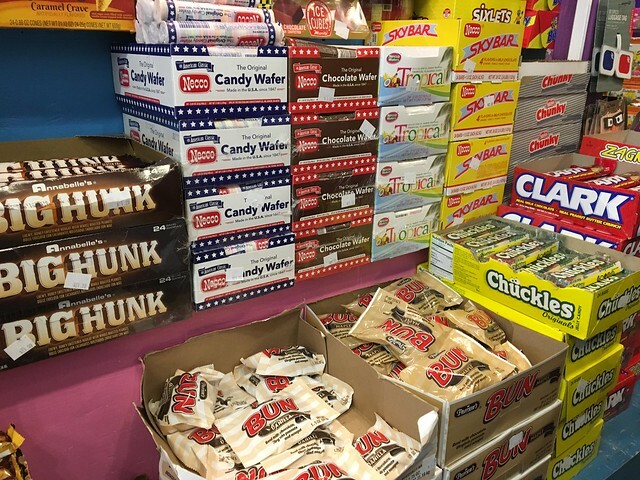 So this place is cool in that it has this gigantic wall of goodies, then candies from other countries, some candies that are throwbacks you don't see in stores often and some other fun candy gifts. PLUS, there's more. 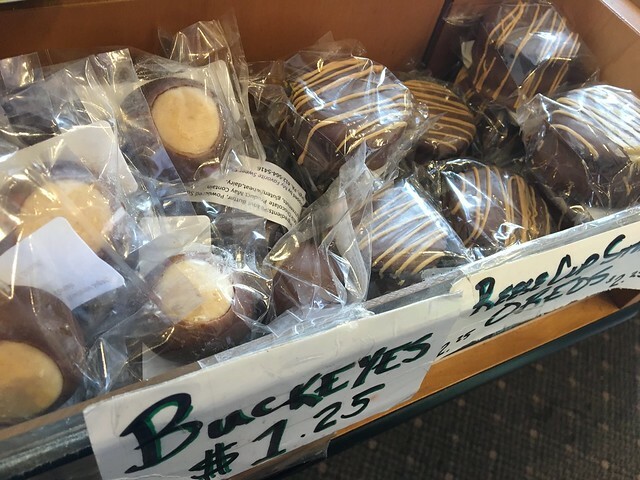 They also have more than 325 flavors of old fashioned glass bottled soda like: Natrona Bottling's Red Ribbon Soda, Boylan's, Sprecher, Johnnie Ryan, Frostie and more. 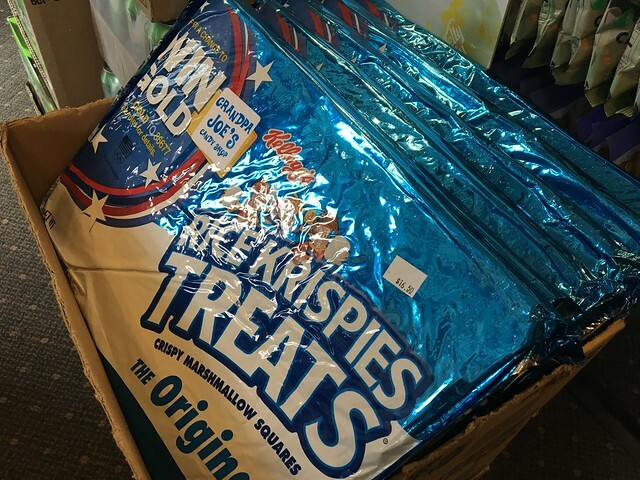 Oh, and I saw the biggest Rice Krispie treat I've ever seen in my life there. 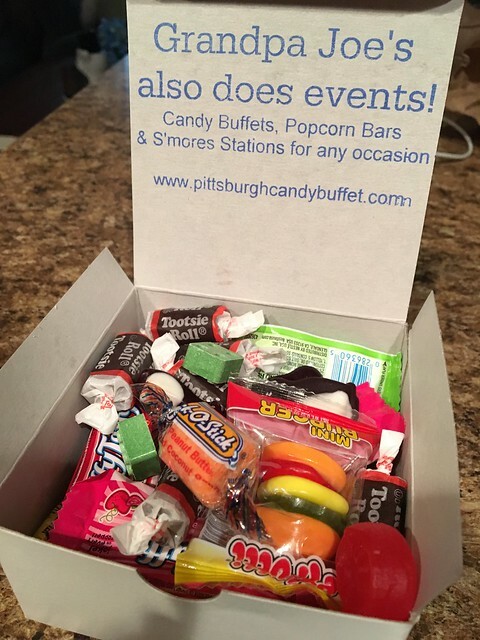 So, this is a neat place to fulfill literally any candy need you may have. 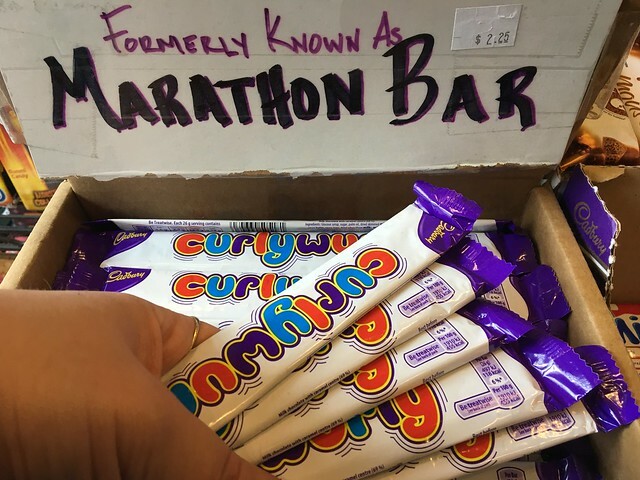 I made my dad a sort of "time capsule" of candies from the 60s for his birthday last year, and it took a bit of searching to find ones that were big during that time period (Cracker Barrel was a big help), but if I had known about this place, it would've been great, too! Have you been? 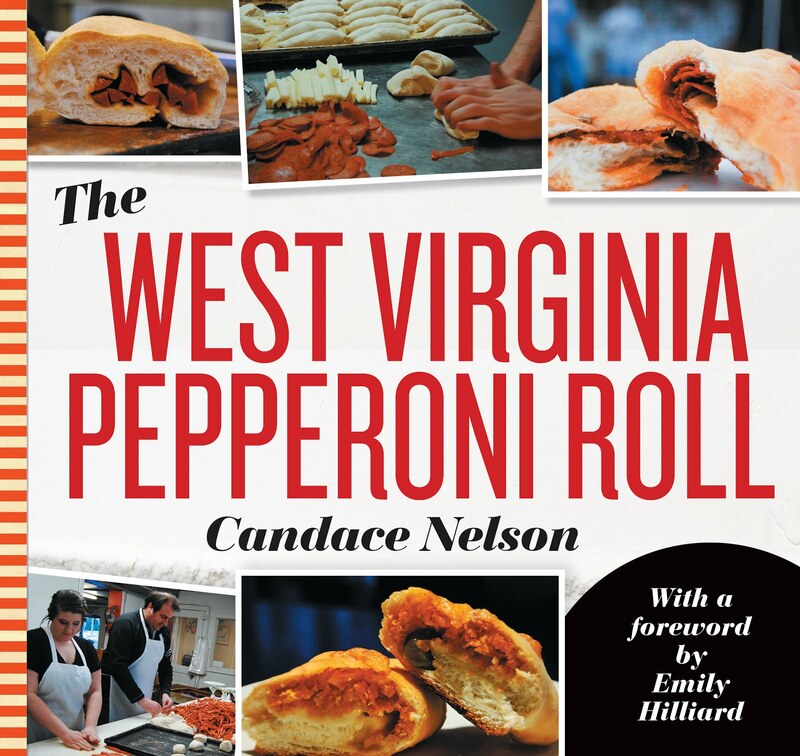 What's your favorite find?